Visa regime is not applied for most visitors entering Kosovo. However, please make sure you check online information on the official web site of Kosovo Ministry of Foreign Affairs. In addition, to visit Kosovo, also check with Kosovo Embassy in your country or the nearest one to your country. 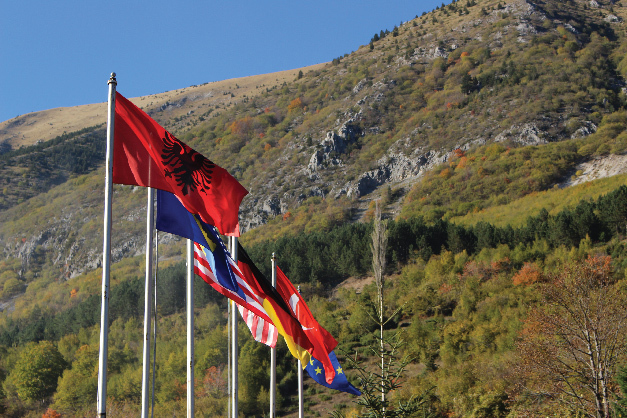 If you want to visit Kosovo, you should consult Kosovo Embassy in your country of origin. In case there is no Kosovo Embassy in your country of origin, then you should consider consulting the closest Kosovo Embassy to your country of origin in order to better understand the procedures that apply to you for entering Kosovo. According to the official web site of Kosovo Ministry of Foreign Affairs. Citizens of the countries which are required to obtain a visa for Kosovo but hold a biometric valid residence permit issued by one of the Schengen member states or a valid multi-entry Schengen Visa are exempt from the requirement to obtain a Visa to enter, transit, or stay in the territory of the Republic of Kosovo for up to 15 days. Citizens of: EU and Schengen Zone Member States; Holy See; Principality of Andorra; Principality of Monaco; Republic of San Marino, Republic of Albania, Montenegro, and Republic of Serbia are allowed to enter, transit, and stay in Kosovo for up to 90 days for a six-months period with a valid biometric identification card. Holders of diplomatic and service passports issued by Russian Federation States, People’s Republic of China, Egypt, Indonesia and Ukraine shall be allowed to enter, transit or stay up to 15 days in the territory of the Republic of Kosovo. Holders of valid travel documents issued by Special Administrative Regions of People’s Republic of China: Hong Kong and Macao are exempted from the obligation to obtain a visa. Holders of travel documents issued by Taiwan shall be exempted from the obligation to obtain a visa provided that they preliminarily notify the Diplomatic or Consular Mission of the Republic of Kosovo, at least 2 weeks in advance. Holders of Travel documents issued by EU Member States, Schengen zone States, United States of America, Canada, Australia and Japan based on the 1951 Convention on Refugee Status or the 1954 Convention on the Status of Stateless Persons, as well as holders of valid travel documents for foreigners, may enter, pass through the territory and stay in the Republic of Kosovo up to 15 days without a visa. Holders of Laissez-Passer, regardless of their nationality, issued by United Nations Organizations, NATO, OSCE, Council of Europe and European Union, are also exempt from the visa requirement.